Back in 2012 I showed up to Enspiral with some hazy, pretty vague ideas about launching books. Basically, I had more than a few rants to anyone who would listen that Enspiral should be doing… !! something something media production write books, influence people, help change the world something something !! So, 2018 is the year the book happens. What should you expect from this? Well, it won’t be your average business book full of ‘thought leadership’ and big ideas from one hero author…. We’ll be reflecting back on several startup journeys and sharing practical processes for launching, failing, growing, changing and building purpose driven companies as well as the core principles and processes we have used to build our community of mutual support. It’ll be full of short essays and deeper reflections about how and why Enspiral got started, some of the initial inspirations, what actually happened and how we continue to grow. We’ll also be including practical guides, processes, rants and collective reflections about growing leadership, community without hierarchy, collaborative finance, shared decision making and how we built a culture of peer support and self development in service of designing livelihoods around positive impact and purpose. Don’t worry, it won’t be all shiny. You can expect some honest reflections on our failings (there have been plenty of those too). In true Enspiral spirit, this book will be co-authored and reflect multiple perspectives. I’m really happy to be producing and authoring the project along with Susan Basterfield and Natalie Sisson. There are some wonderful brains in the Enspiral community and in our first publishing project we’ll be drawing deeply on the collective experience of 9 co-authors including Chelsea Robinson, joshuavial, Alanna Irving, Richard D. Bartlett, Silvia Zuur, Damian Sligo-Green, Kate Beecroft, Sandra Chemin and Francesca Pick. If you’re familiar with those humans, then you’ll have some idea of what’s coming and why we’re excited! The Enspiral mission hasn’t changed. We are part of a growing, global movement of purpose driven entrepreneurship, systems change activism and new ways of building global socio-economic community. We want to level up how we share our learnings and raise the potential impact of this type of thinking in the world. As with so much of our work it’s learn by doing, and start by starting, so that’s what we’re doing here. 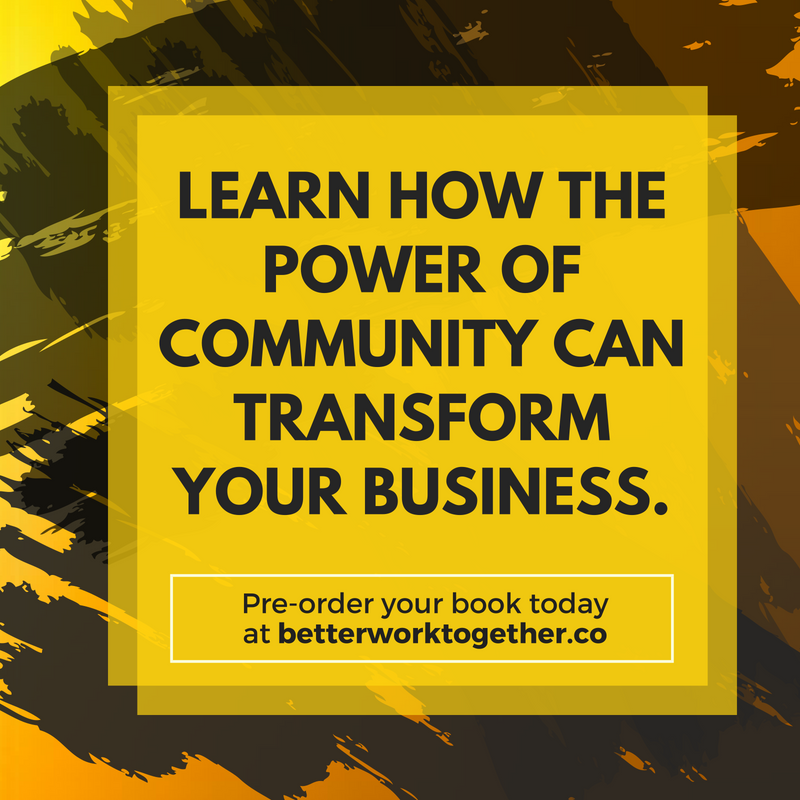 Regardless of if you are a freelancer, running a team of 10 people, a company of 100 people or an organisation of 10,000 people we’re writing this book so that you’ll find principles, insights and practical tactics that you can apply directly to help build a transformative, purpose driven culture in your organisation. We often get requests from people and organisations around the world curious about Enspiral, what it is, how it works, how it started, how it helps people, what is actually does, how they can start their own Enspiral or join us. The future of work tribes. Friends and fellow champions, activists and purpose driven innovators who are also determined to build a better world through their organisations. Leaders and innovators. People in large organisations who are trying to work differently, bring our the best in their people and achieve more together in more collaborative, equitable ways. Freelancers, entrepreneurs, founders and community builders . Folks who want to activate their own sense of purpose, build a impactful company or grow a community around a shared mission. Great! Where can I support this!? Our crowdfunding campaign is live with our friends at PledgeMe right now. There are limited pre-sales where you can grab an early copy for yourself, your team, or your whole organisation (why not!?). We would love your support to help us amplify these ideas into the world. We’ll be busy working through the final content over the next few months with aim to have a public release by October 2018. Stay tuned for more details and get in touch if you have any questions.